Some of you may recall that since October 2014 I have been seconded two days a week to the University of London International Programmes (UoLIP) office based at LSE. They coordinate degree courses in economics, finance, maths and social sciences that are taken by students all over the world. Quite a large percent of these students are based in Singapore and many are enrolled in local colleges who teach the students, while the assessment is provided from London. Next week I will be visiting Singapore with the LSE UoLIP team, including the Head of Teaching and Learning, Lynne Roberts, their educational developer, Chris and their Learning Technologist, Craig. We have an exciting (but hectic!) schedule of meetings, workshops, training, observations and opportunities to meet students enrolled on the courses. I am really excited about the trip and my role for the past few months has been to help develop some new workshops around the theme of Teaching in the Digital Age. The workshops are based on several that we run at LSE and a new workshop that I am hoping to run for the first time later in the year for LSE academics, on embedding digital literacies into the curriculum. It is very much based on the ANCIL workshops that Emma Coonan and I have run at several institutions, where teachers review their curriculum according to an information literacy curriculum, to identify good practice and opportunities to integrate digital and information literacy into their course. In order to be sustainable, I have also put together a proposal for an online course that would allow us to support the teachers once we return to the UK. For those in the library world, you may have heard of the 23 Things model, and I have been very much inspired by this approach. As a teacher you need to be reflective, and also to share ideas with your community. The 23 Things model seems to offer a way of doing this. Plus each of the ‘things’ are relatively small but should help the teachers and the students develop their digital literacies as they try them out and reflect on them. I’ve received excellent advice from Liz McCarthy at the Bodelian who ran the Oxford 23 Things for Research. I’ve also got two visits lined up to see Yun-Ke Chang at Nangyang University, who I met at ECIL 2014 and is doing some fascinating research with colleagues on information literacy in Singapore Schools. I will also be visiting Ron Starker and colleges at Singapore American School, who are being influenced by ANCIL to enhance their middle school curriculum and have invited me to a fascinating conference for teachers next Friday afternoon, called iCreate. So roll on my trip! I’m looking forward to escaping the gloomy weather, enjoying some 27 degree heat, fabulous food, meeting teachers and librarians and talking about digital and information literacy and student learning. 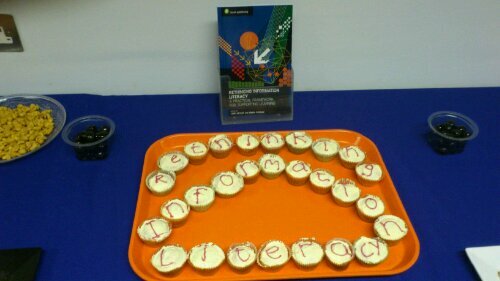 This entry was posted in Conferences & Presentations, information literacy, Jane's update. Bookmark the permalink.